The weather today was extremely bipolar, chilly in the morning and dreadfully warm in the afternoon (I guess I should be used to this super typical bay area weather). It is such a struggle to dress for these kinds of days so I like to put on layers to combat the evil weather gods. 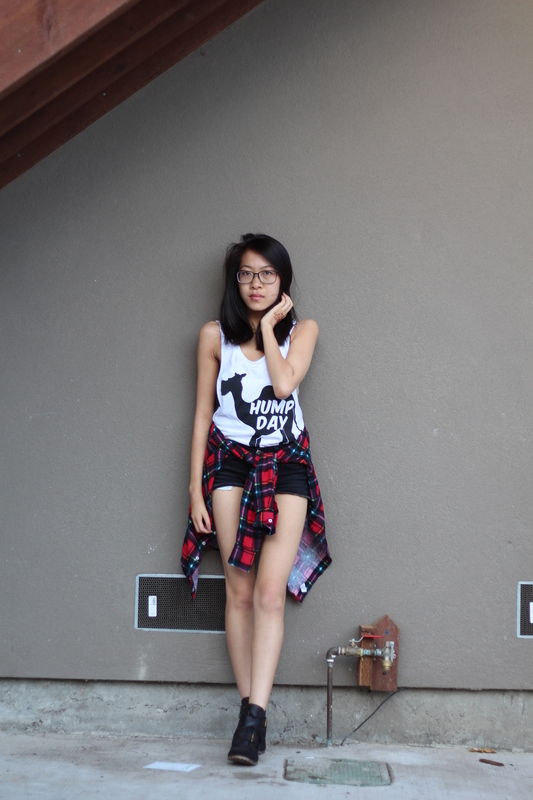 I wore this plaid shirt as an actual shirt in the morning and tied it around my waist for the afternoon, Ta-Da! weather dilemma solved. Shooting in front of a dumpster can be fun if you have the right photographer, luckily I do :).